TORONTO -- A new report by the Centre for International Governance Innovation is questioning the need for new pipelines to carry oilsands production to tidewater for export. 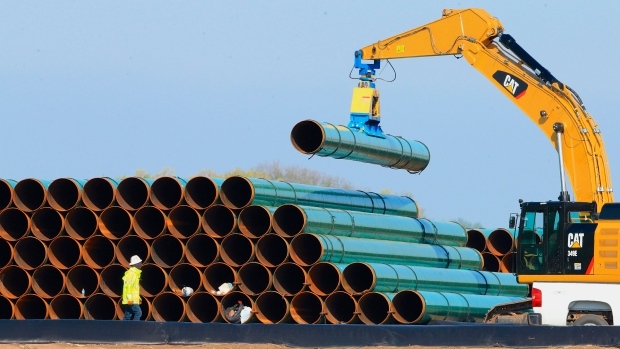 The report follows a move by TransCanada to ask the National Energy Board to put its application for the 4,500-kilometre Energy East pipeline on hold after the regulator said it would consider indirect greenhouse gas emissions in evaluating the pipeline. Rubin recommends the National Energy Board consider a rapidly decarbonizing global economy as the base case when modelling future oil demand and use the heavy oil price benchmark Western Canadian Select when evaluating projects. His report also noted that pension plans need to stress test their long-term investments in the oilsands against expected declines in global consumption.